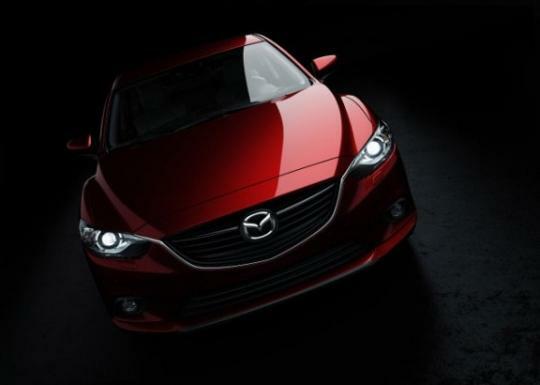 Recently, Mazda teased us with photos of its next generation Mazda6. In a way, Mazda is telling us that it is pretty much coming soon and the company has officially kicked off production this week at Hofu No.2 plant in Yamaguchi prefecture, Japan. The production version will be showcased in the upcoming Moscow Auto show later this month. The very first example to roll off the line wasn�t the regular sedan but a Mazda6 Wagon finished in bright red and built to European specifications and powered by the SKYACTIV-G 2.0 petrol engine. 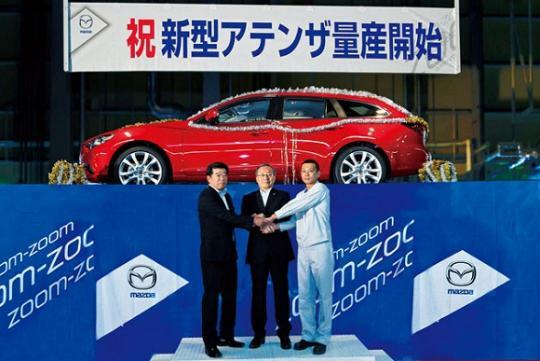 Mazda Motor Corporation held a ceremony to commemorate the start of production of the new Mazda 6 (known as Atenza in Japan), fully redesigned for the first time in five years. The ceremony took place at the above mentioned plant. The all new Mazda6 is the first model to be equipped with Mazda's unique brake energy regeneration system, i-ELOOP. In all areas the development team tried to instil the essence of the Mazda brand, the joy of nimble handling that responds precisely to the driver's intentions, while offering the class, style, quality and comfort people expect from a car.